I welcome your ideas, requests and feedback on this new newsletter. 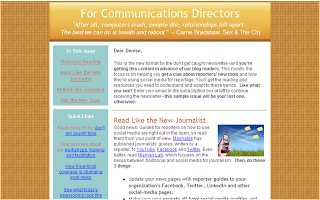 A special note: If you are a current subscriber to the don't get caught newsletter, you'll get your first issue of For Communications Directors automatically. After that, you'll need to subscribe at the link above or box at right in order to continue your subscription.